Actor Prithviraj’s daughter Alankrita is all set to go to school. Alankrita who was born in 2014, has entered her schooling phase and Prithviraj took to social media to post about this moment of his life. The actor got a little emotional and posted a picture of him which seemed to have him both excited and scared. Prithviraj posted, “First day of school for the lil lady..and I have the jitters! Should put on the cool dad act though! Phew..how time flies!”. It is to be noted that, the movie Abhiyum Naanum had Prithviraj and Prakash Raj talking about such a moment and the film focussed on the life of a daughter and her upbringing by a protective and caring father. Looks like this moment from the movie has come to life for actor Prithviraj today. 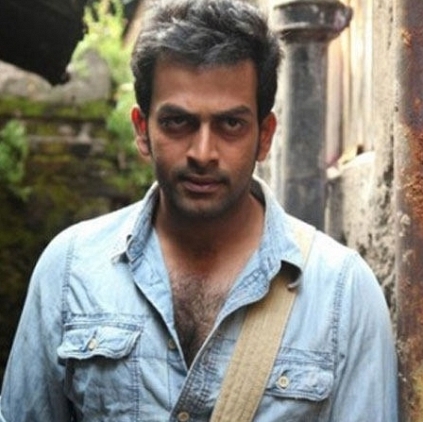 People looking for online information on Prithviraj will find this news story useful.